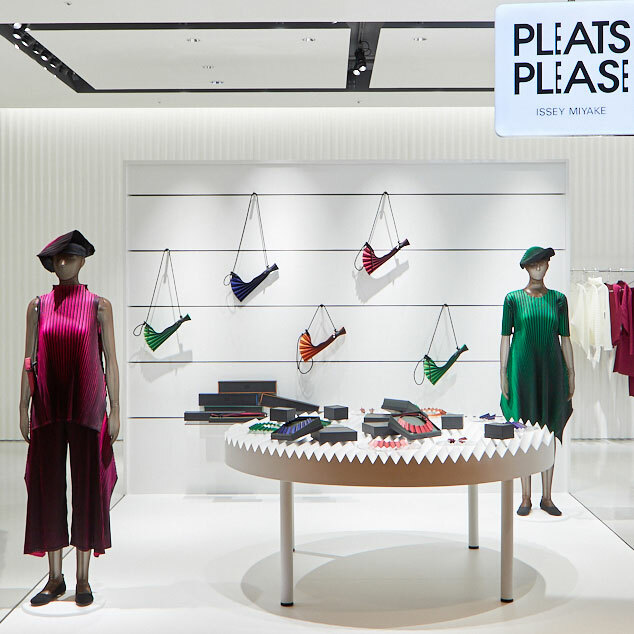 PLEATS PLEASE ISSEY MIYAKE / ROPPONGIMONTHLY COLORS: JANUARY 1 | News | ISSEY MIYAKE INC. Monthly colors that evoke the image of wood through wood grain colors like woodchips. They are characterized by their side buttons that can be adjusted by unfastening them.